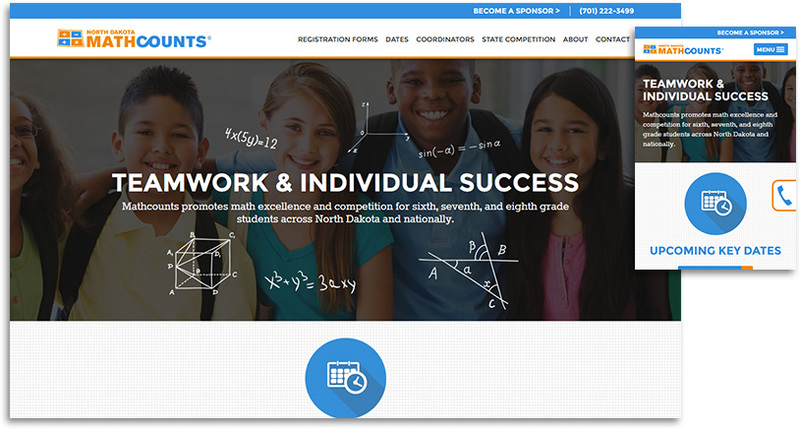 MathCounts promotes math excellence and competition for sixth, seventh and eighth grade students across North Dakota and nationally. Partnering with ND Math Counts gave us the opportunity to build a brand for a state-run educational program. They required sub-branding based on their national organization that was unique to them. They also required electronic sign-up forms for participant registration. Displaying key dates and the state tournament schedule of events was paramount.